Great for couples or honeymooners, and with a queen sized sleeper sofa in addition to a king bed, these rooms are also perfect for memorable family vacations. Or, if business brings you to Antigua, our Suites can accommodate two colleagues. Our open water dive instructor offers over 15 years of experience with over 10,000 dives under her belt. The Cedar Valley Golf Course, designed by Ralph Aldridge, is an 18-hole, 6,157 yard, par-70 course. Our spa is an expansive and elegantly appointed hideaway for pampering, restorative treatments for the body and skin. 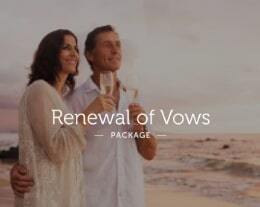 Let our romantic packages help you fill your love story with amazing, once-in-a-lifetime memories you will never forget! Ready to greet you with a touch of elegance, a sprinkling of style and an abundance of Caribbean-infused flavor! Enjoy our new Calypso Cat catamaran tour! The Tour Desk will provide all the information you need and will reserve the trip for you. We have a Tour Desk at the resort where you can book any excursion in Antigua. The desk is open from 9:00am to 5:00pm seven days a week. Our gift shop opens daily from 8:45am-11:00pm offering snack items, wine, beverages and other sundries at an additional charge. Internet is available in designated rooms at a fee. Requests can be made during the booking process.